Well, that's a long story, but I'll take the short version. Back in the early 90's me (Johan) and Martin started up a death/trash band with some other people that ended up being called Apathy. We released on demo called Dark Shattered Death. The band lasted a year before splitting up and reforming under the name Engraved focusing on developing a more melodic death metal sound influenced by bands like Entombed, Carcass and Edge of Sanity. Initially it was just me, Martin and our lead guitarist Rikard and a few session members that we borrowed from other local bands such as Nocturnal Rites, Naglfar and Disorge. Martin left the band after half a year or so because he was bound up in other projects too. That incarnation of Engraved lasted until 96, having released 2 demos and one promotape, when lead guitarist Rikard jumped the ship and drummer Mattias Grahn was recruited to play with Naglfar. In 2010 Martin and I decided to ressurrect the band as a two man studiproject and quickly produced a demo called Ashes just to see if we could pull it off. The next two years however we worked at our spare time producing songs for our latest demo, Days We Dread that was released this summer. It's hard to say exactly what exactly has influenced us over the years really. Back in the 90's we were all deeply rooted in the powermetal, thrashmetal and early deathmetal scene just like every other swedish metalhead back then. Some of us were into rock and punk also, but when it comes to metal bands back then that influenced us I can honestly say that Carcass and Edge of Sanity was important for us all. Pioneers like Morbid Angel, Death and Entombed were of course also frequently spinning on our vinyl players. Personally I was a lot into the early doom/death-scene which I guess influenced my vocal style a lot. Today we've mixed in a lot of rock into our sound and added obvious nuances of melodic deathmetal, goth metal and even some blackened death. Martin and I are huge Behemoth-fans so we kinda try to sneak in a little of that were it works. First and foremost our new demos are free to download through our homepage. As far as the old ones go I might have some original copies of the Apathy-demo left but as far as the others go I guess they should be considered rare items out in the tape trading market. But we made a compilation CD with a the old demos available on our site too. It's just a download away. The Dark Shattered Death-demo ironically was the one that was spread the most, even though I dare say it was a weak debut. But we got some decent reviews on it back in the days even though most reviewers of course pointed out it was an apparent work of a young band. The next demo, the first one released under the Engraved-logo was called Emptiness and was embraced a lot better, as well as our second demo that was praised by some for it's unique melodic style. It didn't get the spread they deserved however, but collectors of recent years have given us some credit for these demos and being pioneers within the genre. As far as our new demos go, Ashes got a bit of a cold and mixed reception, but we were kinda pleased with it anyway. After all it was more of an experiment. When it comes to our latest work, Days We Dread, however we've got nothing but praise so far from the people who have heard it. Currently we got no plans for live shows. It's not because we theoretically wouldn't want to do it, it's just hard as a studioproject with just two people and the rest contributors being session members that are stuck in other bands or people that for other reasons just aren't available right now. I think we have some right to be proud of our history, at least locally. We were part of the same scene that gave the world bands such as Meshuggah, Refused, Naglfar and Nocturnal Rites. 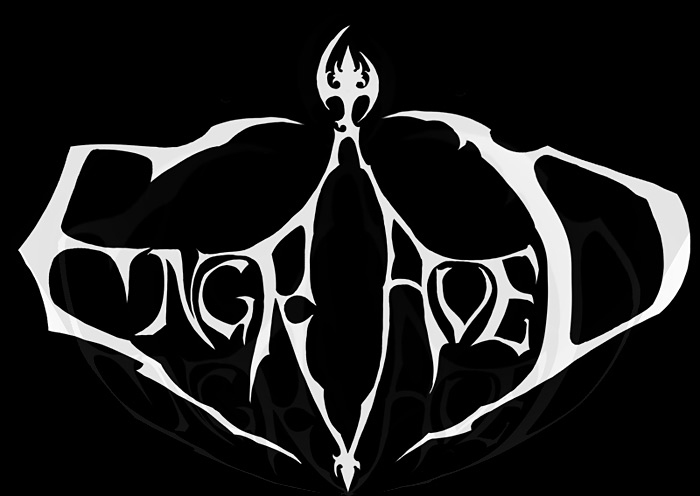 We were also pioneers within the swedish melodic death metal scene. So yeah, I think our legacy should count for some interest in the band at least. But of course that's not the main reason labels or 'zines should interest themselves in us. The main reason is because we're experimenting with the melodic death sound, infusing it with other influences and trying to break with the conventional frames that have been built around the genre, at least here in Sweden. Both by looking back at the roots of the genre as well as pushing forward by taking in sounds an ideas from other genres. At this time we're still leaning back and taking in all feedback we can get from the reactions to Days We Dread. Martin's also currently indulging himself with a punkband project. But depending on what happens the main plan is of course to keep doing what we think is fun, writing music one way or another. So a new demo is of course definitely a possibility, but I couldn't say if this one will a couple of years too or in what form it will be released. Maybe we'll do a whole self-released album if we get enough inspiration. There's lot of possibilites. It's a project band after all. As mentioned earlier the lastest demos and a compilation of our early demos can be downloaded in mp3 format at our homepage (www.engraved.se), but Days We Dread is also available on Spotify as well as Soundcloud. So getting hold of our music should be no problem at all. At this moment we have no merch though, but if we do it'll be announced on the homepage.